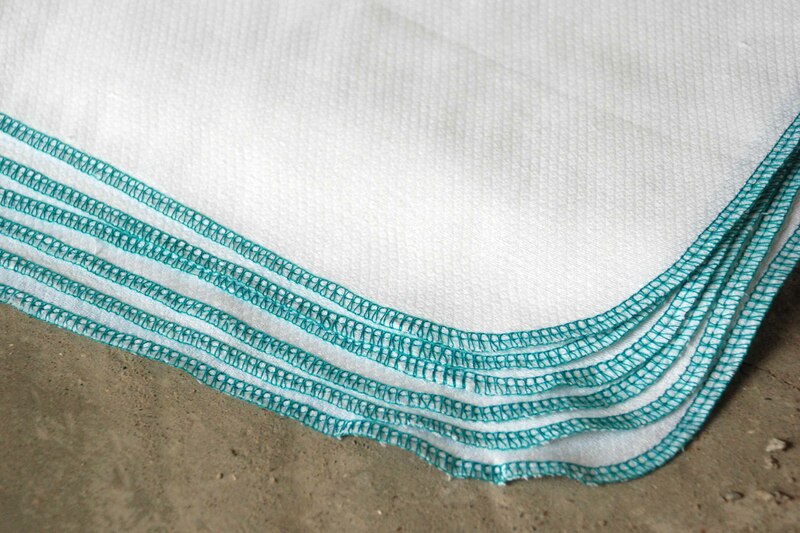 Recently I have launched a new product line to my PurposefullyHome website called ReTowel. Reusable paper towels, unpaper towels, whatever you might call them, they are to replace paper towel in your home. They’re approximately 11″x11″, which are the perfect size to handle any mess that might come your way. What can you use them for? Anything that you use paper towel for! Cleaning up spills, food crumbles, wiping glass or mirrors, and many, many other things. Then when you’ve used one of the cloths, throw it in a wet bag, wait until laundry day, wash and reuse! Well I have always been an advocate for finding small ways to make my home more “green“. From line drying my cloths instead of using the dryer, to using eco-friendly cleaning products instead of chemical filled ones, making sure the lights are turned off when I leave the room, using cloth diapers, recycle everything possible, compost as much as I can, using wool dryer balls instead of dryer sheets, these are just a few things I do to reduce my impact. One thing I always hated using was paper towels. They always seemed like such a waste, but there were things that I just felt like I couldn’t use dish towels or sponges on. I started to buy recycled paper towel, but even then I felt wasteful in the end. So when I ran across this idea for cloth paper towels, I was really excited! I’ve been using them for quite a few months now, purchases a serger and all to make them! So I decided, why not add them to my variety of items to make available to others! This is just one of the four colors available currently. ReTowel will continue to expand into many other colors, as well as adding wet bags and storage solutions for the towels before use. I would love to hear your feedback on what colors and patterns you would like to see on the towels and wetbags. What colors do you have in your home that you would like to coordinate with? ?